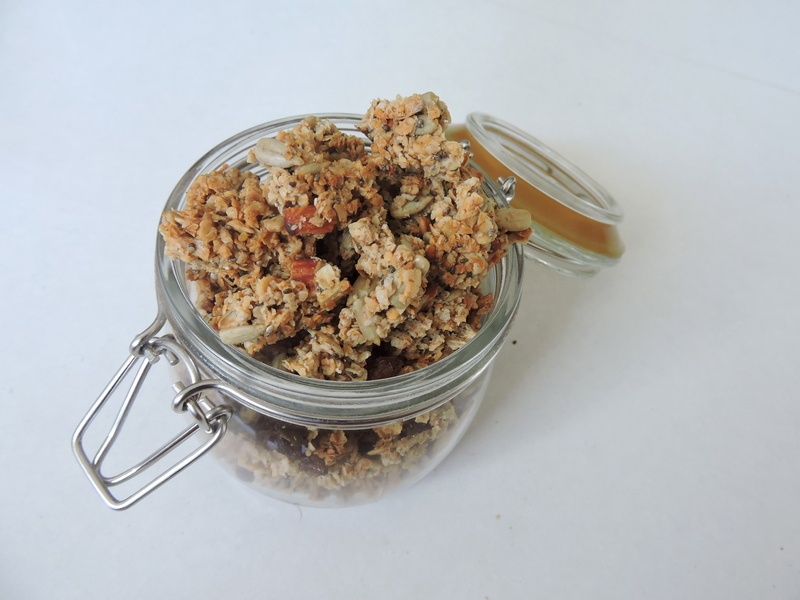 Crunchy, sweet, filling, delicious; I think we can all agree that granola is pretty amazing. I love adding it to my smoothie bowls or having it on it’s own as a snack. Now, let me tell you, it’s really not that easy to find vegan granola at a regular grocery store. Often times there’s honey or milk powder in them (why?!) and so I spend about 20 minutes reading ingredient lists before I finally find a vegan option, and it’s pretty much always the most expensive one. Whilst reading through all those ingredient lists I realised; hey, I could easily make this myself. So that’s what I did. I can confirm that this granola is pretty damn tasty, and judging by how fast the jar empties at home, I think my whole family agrees. 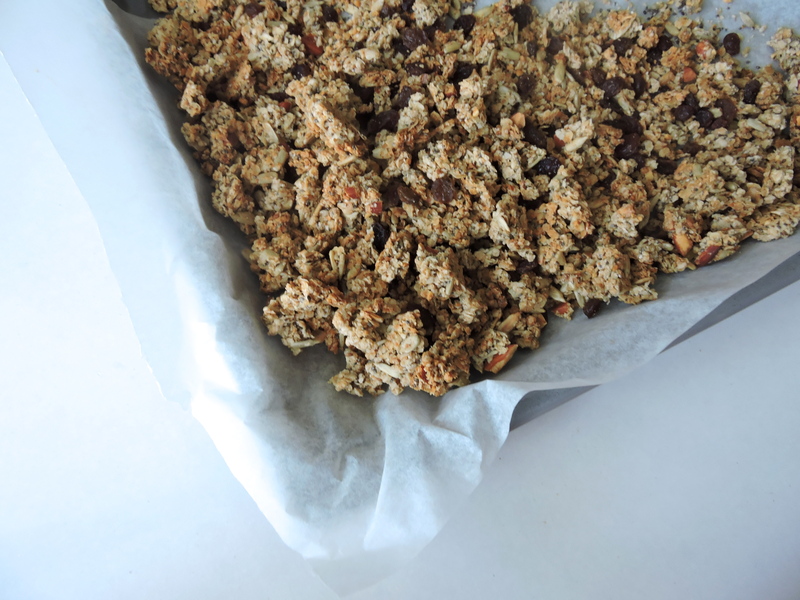 So here’s my recipe for vegan granola, filled with nutrients and deliciousness, that won’t break the bank. In a separate bowl, mix your coconut oil, maple syrup and vanilla. Add your wet ingredients to your dry ingredients, and mix. I find this is easiest done with clean bare hands. Make sure the wet ingredients evenly coat everything. Transfer your mixture to the baking tray and spread evenly. Once you take it out of the oven, let it cool. Once cooled, break apart the baked product. It will initially look like a big cookie, but it is easy to separate. You can leave as many or little big chunks as you desire. At this stage you can also add in your raisins. Once completely cool, store your granola in a airtight glass of plastic container. And that’s that! Sprinkle graciously in the mornings to be set for a great day. Something I love about this recipe is that it’s so easily adjustable; once you get the wet and dry ingredient ratio right, you can add in any ingredients you want. A truly great Granola, and I can tell from experience!! Yummy! !